The throw down court edges from Dunlop are a great training and playing aid as they can make a court of any size wherever needed. The edges are durable and the rubber is non-slip and rounded at the edges to help prevent tripping. This pack contains 16 individual pieces. 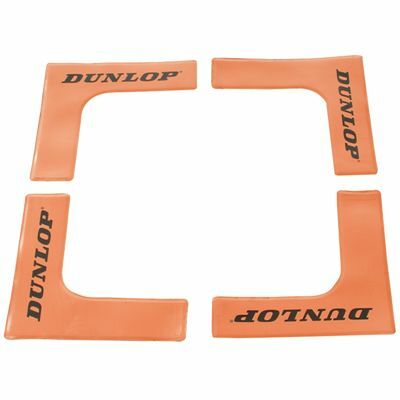 for submitting product review about Dunlop Throw Down Court Edges (16 Pack).